The first programme for teaching phonics using the analytic phonics method was devised in 1783 by Noah Webster. It became the best selling reading programme for nearly 100 years. This method of teaching phonics is the most widely used in the USA today. In this method of teaching phonics children are taught to look initially at the whole word and then break it down to compare parts of the word to letter-sound relationships they have come across in previously learned words. A single syllable word has two parts: the onset (or beginning) and the rime. In the word ‘spill’, ‘sp’ is the onset and ‘ill’ is the rime. By varying the onset, one rime can generate tens and even hundreds of additional words. These groups of words are collectively known as a word family. In analytic phonics children are taught to analyse whole words to detect spelling patterns and then split them into the onset and rime. This decoding enables them to make a comparison with other words they may know from the same word family. For example, if the child knows ‘goat’, ‘boat’ and ‘float’, then the word ‘moat’ will be easy to read, even if it is the first time that it has been seen. 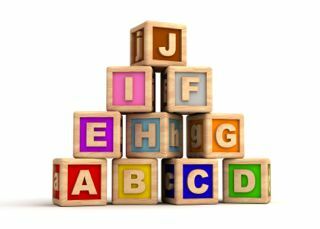 In analytic phonics the child first learns the names of each of the 26 letters of the alphabet and the sounds that they make. The letter ‘m’, for example, has the letter name ‘em’ and the letter-sound /m/ as in ‘man’. Initially the focus is on identifying these sounds when they appear at the beginning of words, then the child will identify these sounds appearing in the middle and ends of words. Next the child is taught how to blend letters together to make simple three letter words such as 'cat', 'sun' etc. For example, programmes may start with regular short-vowel words containing ‘a’ (eg can, man, fan, ran) and then progress through words containing the other vowels. 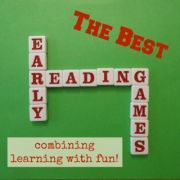 Consonant clusters (e.g. bl, gr, st) are then introduced, first at the beginning of words and then at the end of words. The next stage in analytic phonics teaching is to teach the child about important letter combinations that symbolise specific sounds such as long vowel sounds (eg a-e, i-e), consonant digraphs (eg th, sh, ch, wh, ck, ph, wr), vowel combinations (eg ee, oa, oe, ai, ay, oi, oy, ea, ow, ou, ue, au), r-controlled vowels (eg ar, or, ore, er, ur, ir, ear, eer, air) and other combinations (eg a+l, w+a, c+e, igh, ough). Similarly spelt words are set up in rhyming families and learned together eg bread, thread, tread, dread. Rules are taught to help deduce how a word should be read. However, exceptions to these rules must also be learnt. The most common irregular words are taught to be recognised by sight. The child is encouraged to use picture cues, initial letter cues and context information for guessing words. Books that support this teaching method use text with repetitive, predictable sentences. Pictures give clues for any new words introduced on that page. Of the words used most often in written material, 47% can be read using basic phonic rules, so by learning these rules children are already well on their way to being able to read nearly half of the words commonly encountered. This technique is an efficient way to help children develop a large sight vocabulary for both reading and spelling. It is particularly useful for words which don’t lend themselves to sounding out phonetically. Common examples include “could”, “would”, “should”. By learning the rime “ould”, and recognising it in one of these three words, the other two words are also easily learned. Learning the sounds and their blends can be boring for young children, although some reading programmes introduce games and activities to try to keep it fun. It can be confusing for children when they discover that a single letter has more than one sound depending on the word you find it in. For example, think of how you pronounce ‘o’ in dog, food, fold and shout. Knowing what sound to give a letter becomes a case of memorising many word families. 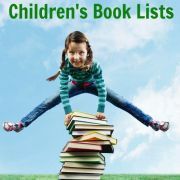 Promoting guessing to help read words encourages reading that is prone to inaccuracies. One new letter sound is often taught each week, which is a comparatively slow rate of learning compared to other methods. Although the method works with many children, a large percentage still struggle with this method of teaching phonics. 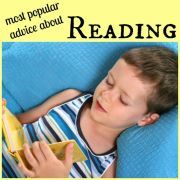 If you want to teach your child to read using phonics, there are a variety of different reading programs, many of which use analytic phonics, available to help you. 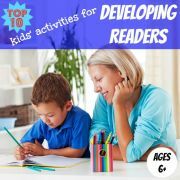 Whether you are looking for a simple handbook describing the steps you should follow, or an on-line program with computer-animated games to entertain your child while they are learning, you should be able to find something that meets your needs. 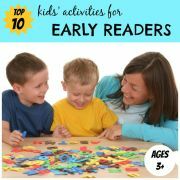 To help your child practice specific phonics rules encourage them to read easy reader books based on phonics. Most of the words contained in these books, which have been written especially for beginner readers, can be sounded out using phonic rules. 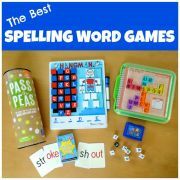 If your child comes across a word they do not know they can decode it by breaking the word down into units and blending together the sounds of each of these units. If you have tried teaching your child to read using this, or any other, teaching method, please do share your experiences - good and bad - with other visitors of this site.